After school snacks made easy. 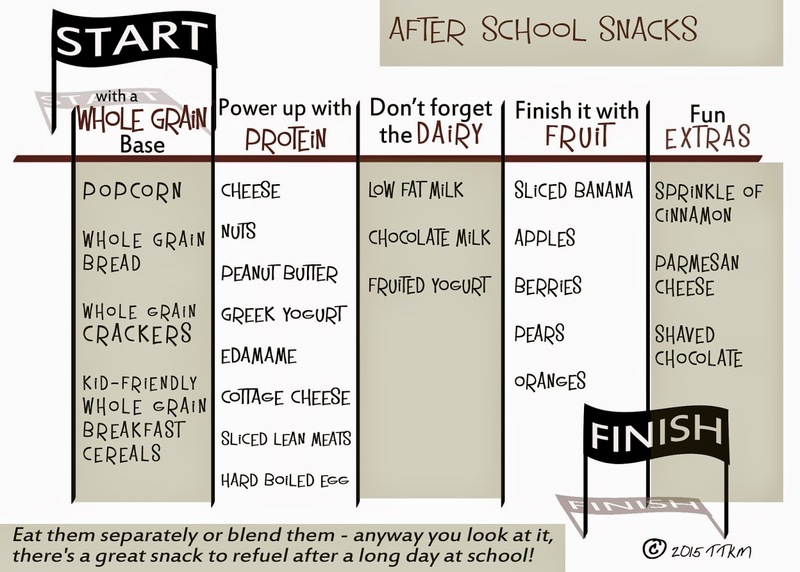 Eat them separately or blend them- anyway you look at it, there's a great snack to refuel after a long day at school. What is The Total Kitchen Makeover? way beyond the look of your kitchen to what food you stock in your cabinets and refrigerator. to organize your space to make things easier to do, plan and prepare. with what to plan for dinner and the shopping list that goes with it. sure you and your family eat healthy and be healthier. the heart of the home and using it to keep your heart healthy. to help you organize your life! Brought to you by three sisters who are very passionate about food, organization, design and family. As these aspects of life are very closely related, so are we! We love what we do, do what we love, and have a lot of fun all at the same time. Please join us and come play and learn something along the way! Copyright TTKM 2013 . Powered by Blogger.